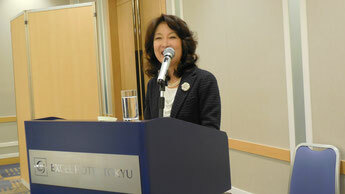 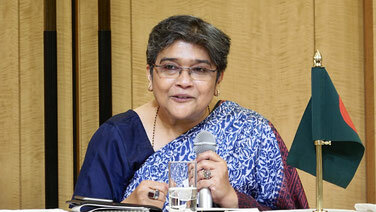 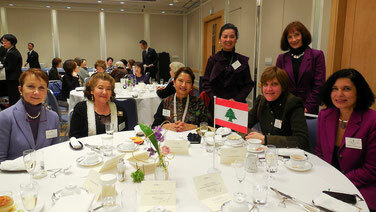 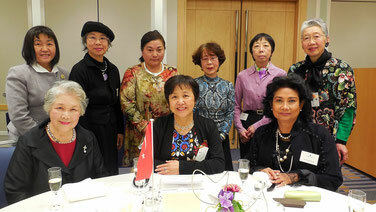 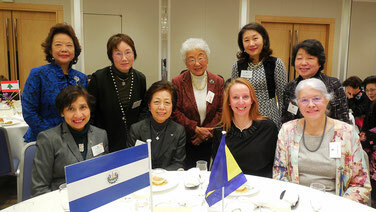 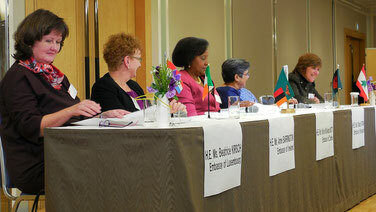 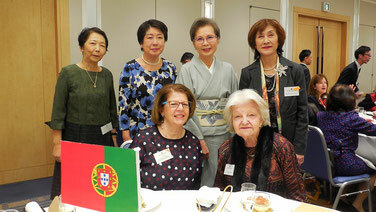 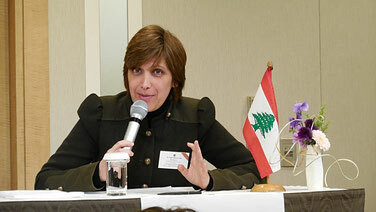 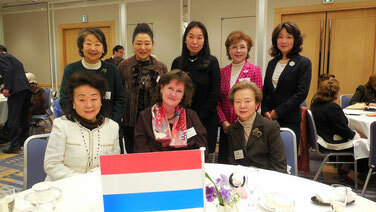 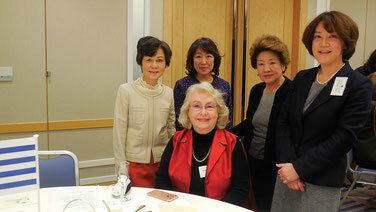 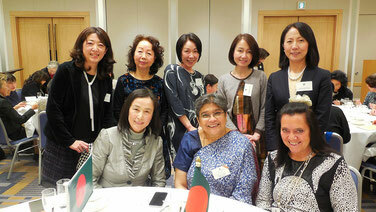 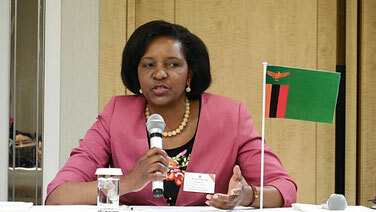 President, Ms. Hayashi’s greeting was followed by Lady Ambassadors Talk Session. 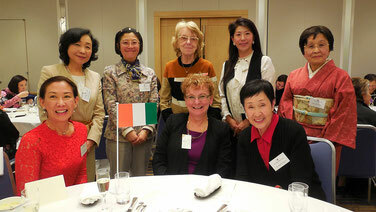 The topic of the session was “Lady Ambassadors’ Personal Journeys.” We were deeply impressed with their diligence, courage, and smiles. 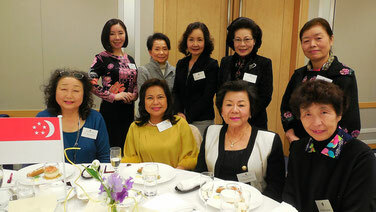 At the afternoon tea, H.E. 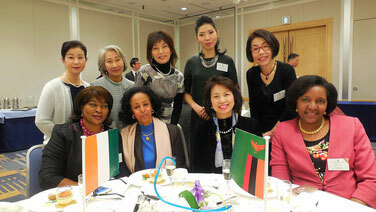 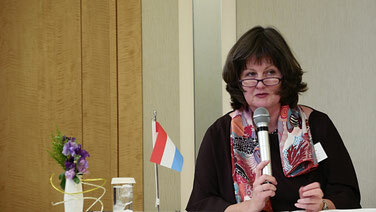 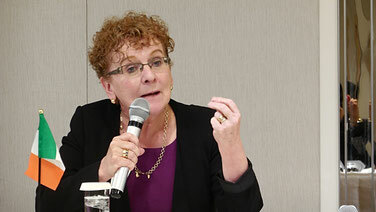 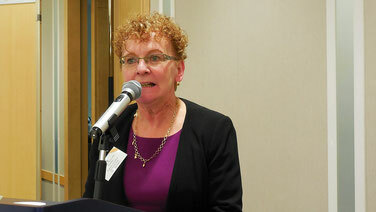 Ms. Anne Barrington, Ambassador of Ireland, proposed a toast. 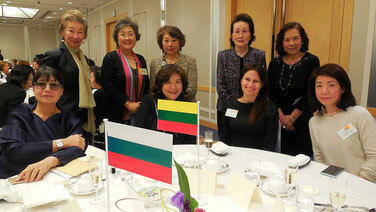 We sat around the table with an Ambassador or Ambassador’s wife, and enjoyed talking in a very private and cozy atmosphere.